We love romantic getaways and of course it’s the best when you’re staying in a romantic hotel. We’ve had our fair share of romantic hotels already, but we were curious to hear about other unique and romantic hotel picks. That is why we asked fellow travel bloggers to share their most romantic hotel experience anywhere in this world. We were pleasantly surprised by the response and received recommendations for hotels we haven’t been to or heard of ourselves. 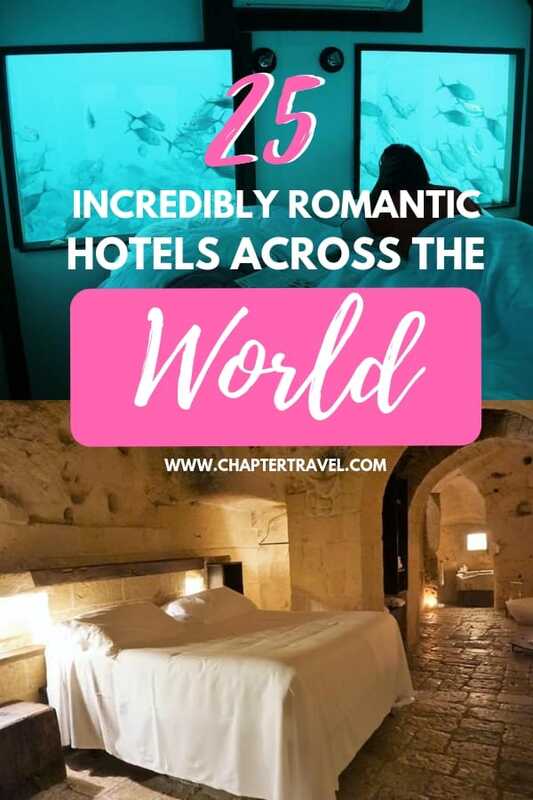 Get ready to be amazed by some pretty charming accommodation possibilities, and find 25 super romantic hotels across the world below! Each romantic hotel is recommended by a different travel blogger (and one by us!). We’ve included the links to the travel blogs so you can read more about the destination or the hotel. Also, be aware that all the photos in this article belong to their respective owners. Le Grotte della Civita is a beautiful hotel located in the Sassi area of Matera in Southern Italy. It’s a great accommodation option for couples as the rooms are very romantic. 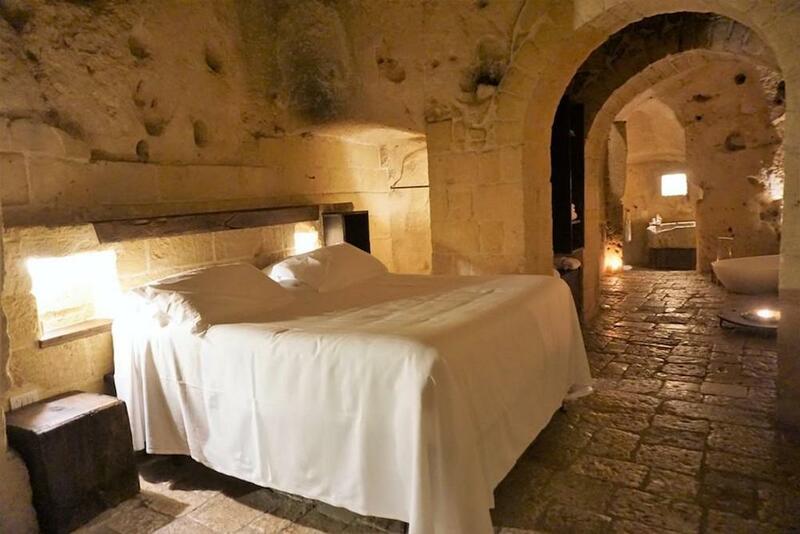 Sextantio Le Grotte della Civita is actually a luxurious cave hotel with stunning views of the Murgia Park. Its 18 guestrooms have stone made floors and walls, wooden traditional furniture and handcrafted bowls and jugs. The bathrooms are equipped with natural cosmetics and bamboo toothbrushes. Our room had all the amenities of a modern hotel apart from a TV and the only lighting came from candles and some lamps. Breakfast is served in a cave that used to house a 13th century chapel. The expansive buffet included locally sourced products. It’s been said that it would be wise to fly out of Manila as soon aspossible, which I don’t disagree with. However, just two hours away from the chaotic capital lies a popular weekend destination known for its cooler weather and the majestic view of Taal Volcano Lake: Tagaytay. When you visit Tagaytay in the Philippines for its lovely views, you might as well do it right at Escala Tagaytay Hotel. Perched just high enough to give you the stunning panorama of the world’s smallest active volcano, this hotel experience will definitely jumpstart your getaway. The hotel views gives out a very unique atmosphere, and if I were to compare it to others, it would be a mix of Mykonos meets Bali meets Laguna Beach. 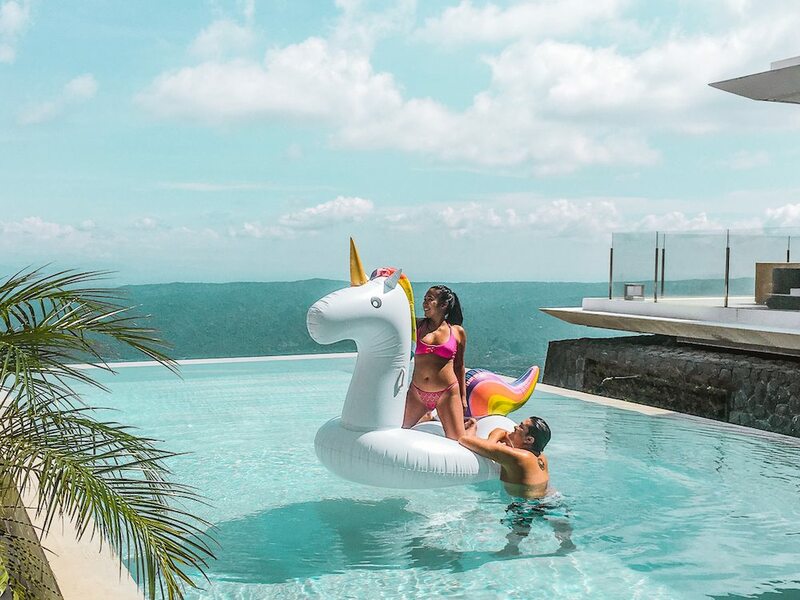 With just the right balance of modern and traditional, Escala Tagaytay offers the perfect amount of romance and serenity. The service is top notch, the rooms are incredible, and the food is one of the city’s best. But what truly stands out is the atmosphere itself. Whether you’re in a honeymoon or not, this romantic hotel might just make you feel like you’re on your first date all over again. Chances are, when you think of romantic cities and hotels, Kraków in Poland isn’t the first place that comes to mind. However, hidden away on a quiet street of Old Town next to the Wawel Castle is one of the most romantic and luxurious hotels we’ve ever stayed in: Kanonicza 22. The main floor is made up of one of the best restaurants in Kraków. If you stay here, you’ll have breakfast in the restaurant at the time of your choosing, which includes a vast array of breakfast foods. Upstairs are three unique and exclusive apartments. We stayed on the top floor, in the Imperial Suite. This suite has its own private rooftop with gorgeous views, lounges and a large hot tub. 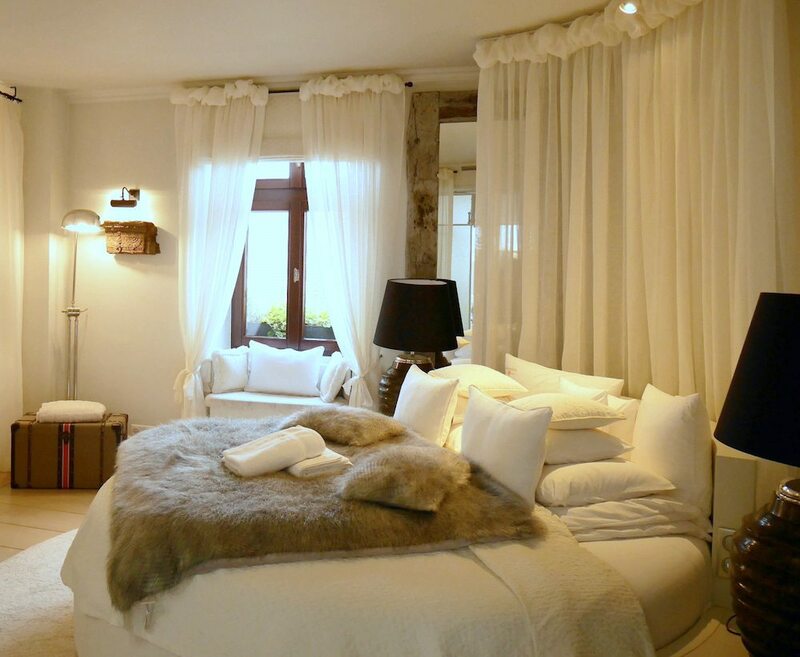 The room itself has a large circular bed with high-end bedding, a bathroom with stand alone tub and separate shower and two individual sinks. There is also a living/dining room as well as a stocked bar area that includes house-made spirits. This hotel was so amazing, that even as we meandered through Kraków’s cobblestoned streets with all its beauty and history, we found ourselves yearning to get back to our cozy yet opulent suite. The most romantic hotel that we’ve ever stayed at is the Bora Bora Pearl Beach Resort, which is built on a motu just off the coast of Bora Bora, French Polynesia. This is where we honeymooned and it has an absolutely idyllic setting. 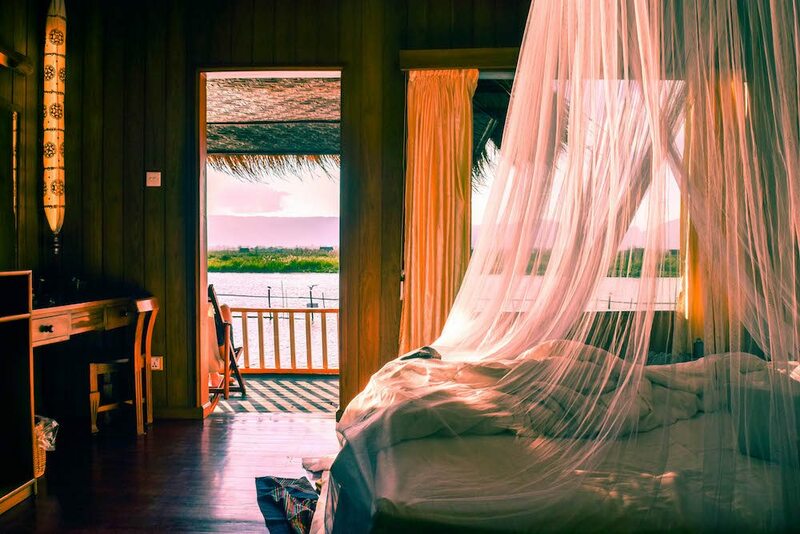 Every morning we’d wake up in our Polynesian-styled overwater bungalow, surrounded by the crystal clear lagoon. We would watch schools of brightly-coloured tropical fish swimming beneath us through our glass-bottomed coffee table! Of course we had the most breathtaking views of Mount Otemanu, which dominates the island. It was truly paradise on earth, and we didn’t want to leave! To add to the romantic experience, we were served the most delicious French cuisine and delicate French wines under the starlit sky. This was in either the resort’s excellent restaurant, or in the privacy of our own bungalow. When we fancied a couple’s massage we would head to their beautiful Spa, nestled in the lush, tropical gardens at the heart of the motu. Finally, because we love a bit of adventure, the hotel organised a boat trip for us to swim with the rays and reef sharks, and also a 4WD tour around the island of Bora Bora. The magic begins the second you step out the car and breathe in the tropical scent of the oldest living rainforest in the world. The whole lodge has been thoughtfully designed to blend in, rather than intrude on the forest. With only 40 rooms the lodge has a relaxed and intimate feel. Often as you wander the grounds you won’t see another soul, which adds to the feeling that you really are somewhere special. The accommodation is made up of free-standing treehouses all set apart to ensure privacy. It includes every luxury you could imagine: think huge bed, spa bath and coffee machine. You could spend all day in the double hammock on the balcony overlooking the Daintree! Every evening when you return to your treehouse turndown service has decorated the room with candles, chocolates and soothing music. 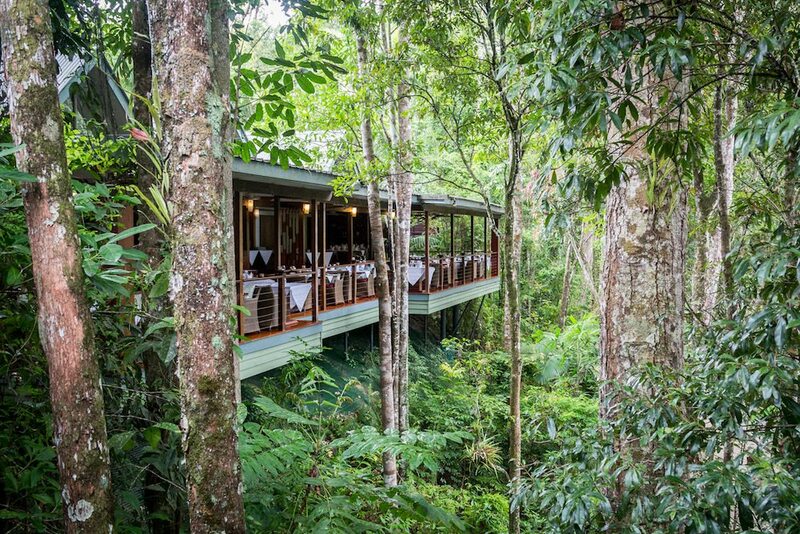 Add the sounds of the rainforest at night and I think you have the most romantic hotel in the world. We visited the Manta Resort in Pemba, Tanzania to celebrate our first wedding anniversary. It was an incredibly romantic getaway! We spent a week cuddling up on stretches of pristine white-sand beaches and admiring stunning sunsets every single day. Manta Resort is an all-inclusive resort, so we pampered ourselves with daily spa treatments and luxurious indulgences. We cruised on the local nglawa (boat), visited a rainforest and spent an evening interacting with and teaching English to children from the local village. 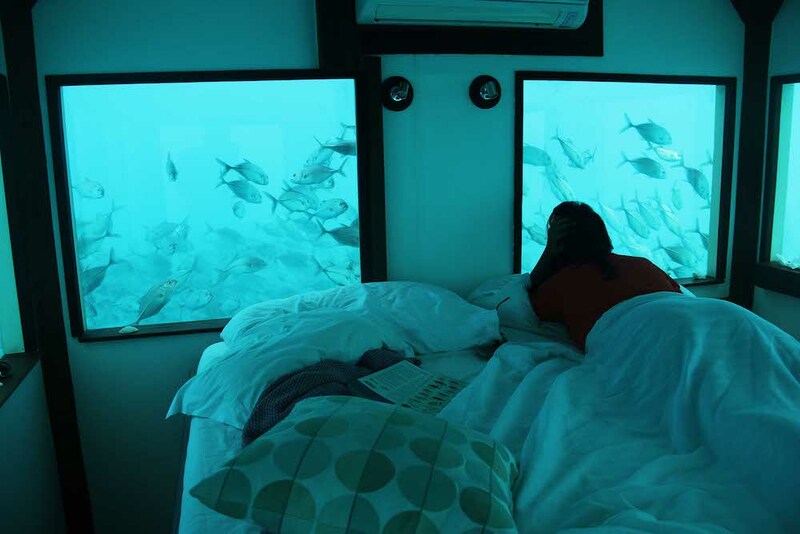 To take the romance to another level, we spent the day of our anniversary staring at the vastness of the ocean from our floating villa and the night in an extraordinary underwater bedroom. We were so amazed and excited to be alone in the middle of the expansive ocean, yet surrounded by thousands of innocent little creatures. Needless to say, we barely slept that night as we didn’t want to risk shutting our eyes for the fear of missing a glimpse of our friendly aquatic neighbours. 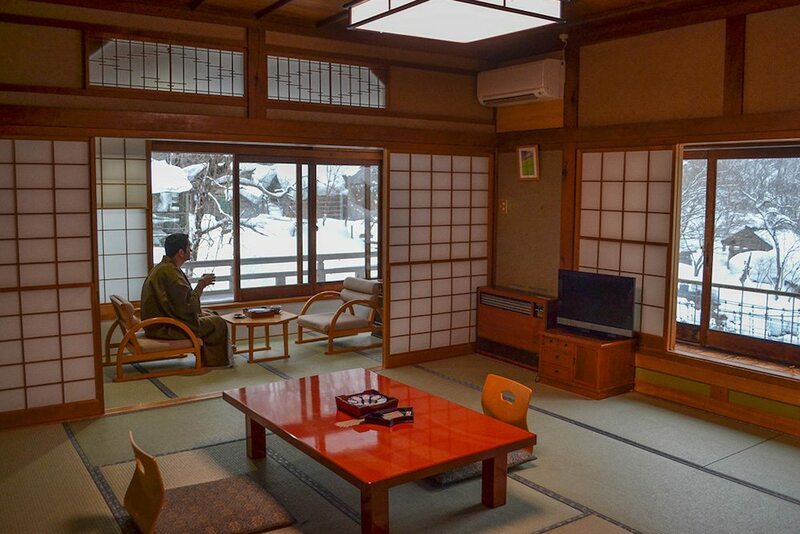 One experience not to be missed in Japan is the traditional Ryokan experience. Staying at Takaragawa Onsen is more than a hotel stay: it’s a package of fascinating cultural experiences wrapped into one. At this hotel you have heated tatami mat flooring, which overlooks the passing Takaragawa River. It’s just riculously cosy and hard to leave. During your stay you can use five different on-site hot natural spring baths (onsen), which are dotted through the surrounding mountain forests. Of course there’s a choice of traditional kimono dress and the traditional multi-course kaiseki dinners. The feasts, served in the traditional tatami restaurant, are also unique to the region, with ingredients sourced from surrounding forests, including wild mushrooms, freshwater fish, and possibly bear. Bear soup is one of the more adventurous dining options in this mountainous region. Overall it’s just a fascinating, dreamlike and most importantly romantic experience, which varies year-round, including deep snow in winters, and fire-blaze foliage in the autumn. Visiting Tokyo, Japan and looking for accommodation? Check out our article where to stay in Tokyo for inspiration! 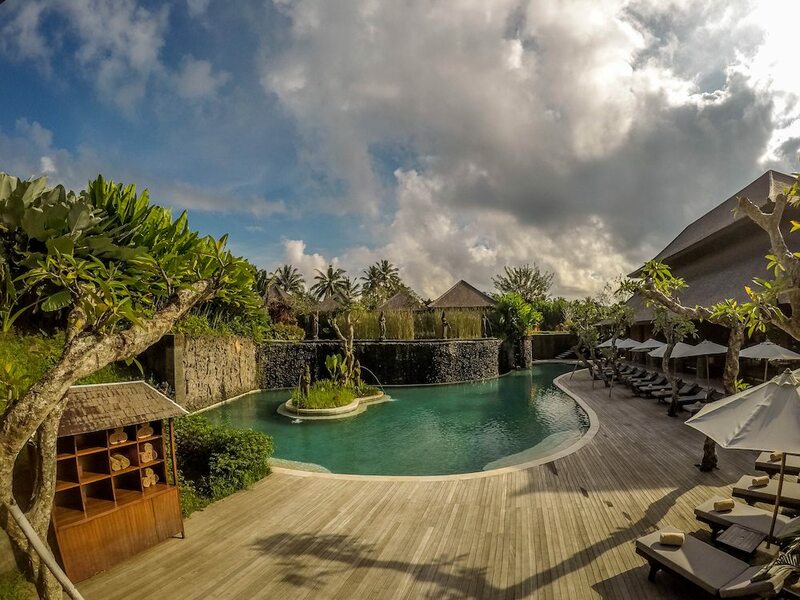 Desa Visesa is a brand new resort located in the cultural centre of Bali, Ubud. Surrounded by rice paddies and Balinese villages, this hotel is the ultimate escape for couple’s wanting to relax in perfect serenity. The style of the resort is true to Bali, including its own rice field and farm. Couples can relax by the pool and have free daily pampering sessions. Or you can take part in numerous activities including cycling, yoga and trekking or simply unwind at your own villa with private pool. The grounds are perfectly manicured with bursts of colour and traditional statues intricately carved and painted. Desa Visesa is the perfect base for romantic adventures in Ubud. We walked through Ubud sampling local delicacies, watching live performances and had the occasional massage. 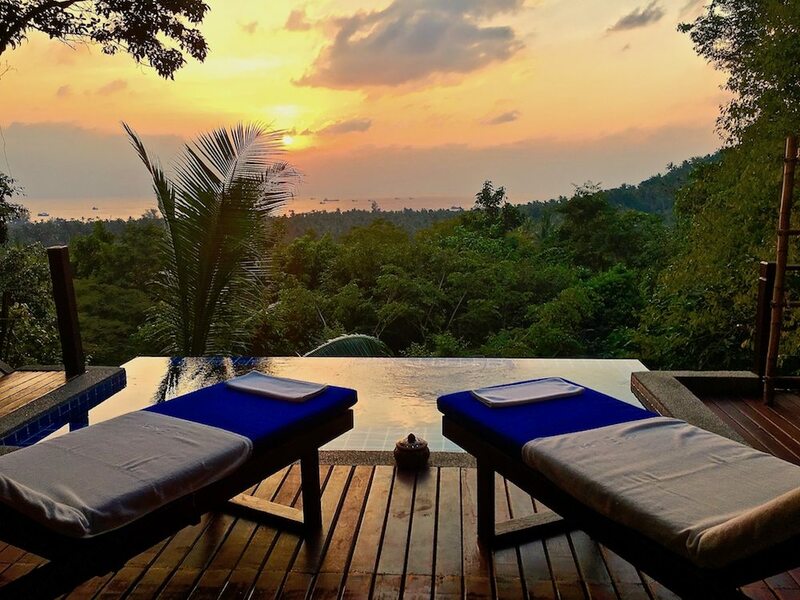 There are countless things to see and do in and around Ubud, including walking the Campuhan Ridge Walk, visiting Gunung Kawi and the Tegenungen waterfall, which are all not too far from the resort. The staff at Desa Visesa are also welcoming and warm, and are happy to help in any way that they can, a real 5 star romantic experience. 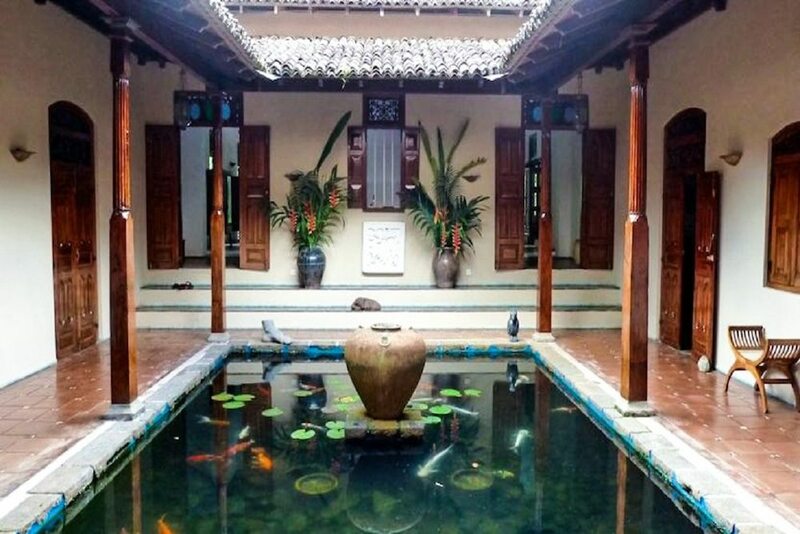 Apa Villa Illuketia in Sri Lanka is a 200 years old heritage property and is a perfect example of Islands colonial past. It’s modernised to the needs, but has well retained its traditions and culture. The whole complex is surrounded by tropical and botanical gardens, paddy fields and tea estates. So, the whole place is lush, giving the feel of being close to nature. There are 6 suite rooms in total. We stayed at Pond house suite. The suite overlooks the lotus pond and has a huge swing to sit and relax. There is a king sized ornamental bed with canopy, a separate sitting area, mini bar, plush open bathroom, shower, bath tub, and enclosed private garden. The pool and veranda in the midst of thick trees and flowering shrubs has many cozy areas and it makes the whole place earthy, serene and lovable. Overall, if you are looking to spend some romantic moments together in the lap of nature, than this is a perfect place for you! The resort and rooms are beautifully handcrafted and keep the surroundings in mind. The services are impeccable. The moment you are here, you are away from the city’s hustle bustle and time stops for you. Telling you that The Place Koh Tao was rated as the most romantic hotel in the world by TripAdvisor in 2017 leaves no discussion that this is a great pick if you are looking to surprise your beloved one. The wooden villas perched in the hills of the lovely island of Koh Tao are completely private and come with a private plunch pool. There are only 9 villas available in this boutique resort. Every villa has ocean views in the distance and are located in a lush green and quiet surrounding. The villas come with a small kitchen and you can hire a chef to come cook for you. The outdoor bathrooms are beautifully decorated in a kind of jungle style. As privacy is valued in this resort there won’t be anyone harassing you and if you don’t request anything from the 24-hour butler service you won’t see anyone near your villa. 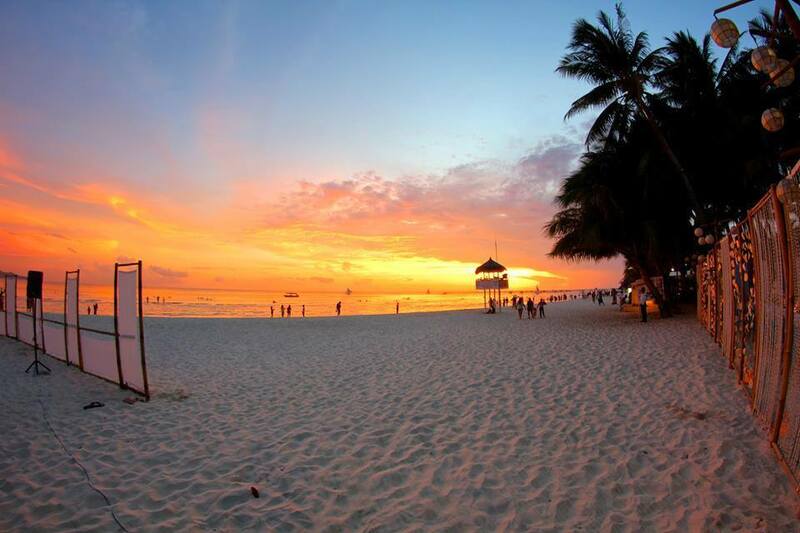 The Place Koh Tao is definitely somewhere you want to take your partner for a romantic trip. This historic property is set in the heart of Seville. Central to everything you’re trying to do in the town, this extension of Starwood’s Luxury Collection has just what you need if you’re looking for a romantic escape. Hotel Alfonso XIII projects a regal old-world charm, as it was originally constructed to receive the King’s dignitaries. The floral fragrance that greets you the moment you step through the door, the high-arching palm trees in the courtyard, and the moorish flare for architectural dramatics embody the spirit of the region. There is an electricity in the air of Seville. Street performers dancing raw and authentic Flamenco, sunsets that seem to go on forever in slow-motion, and evening strolls along Rio Guadalquivir set the tone of the town. We relished our time at Hotel Alfonso XIII. Our mornings were slow and restful, the scorching hot afternoons abridged by the refreshing cool water in the pool and each evening brought about a new adventure in the late-night culture that is Spain. 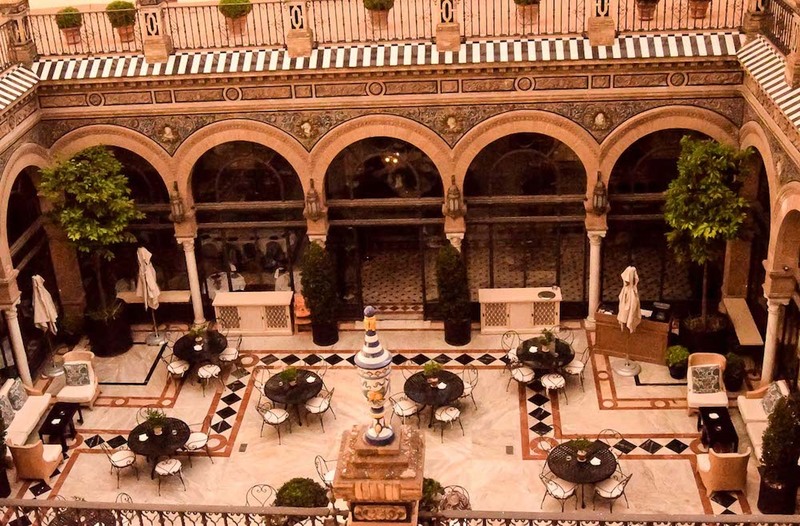 Seville, Spain is basically a table set for two, and Hotel Alfonso XIII is the perfect place to retire to, once the memories have been made. Close your eyes and think of a resort where everything is taken care of down to the last detail. On the Gulf of Toroneos, in the picturesque Geralkini you will find Ikos Olivia, a resort with all-inclusive service at top level. If you really do not want to worry about anything then this is the place to be. The resort is located directly on the beach and is fully equipped so that you can completely relax for a fixed price. Ikos Olivia Resorts offers an all-inclusive formula where you, as a guest, do not fall short, you know where you stand and you get a world-class service. This is the place for a romantic long weekend. 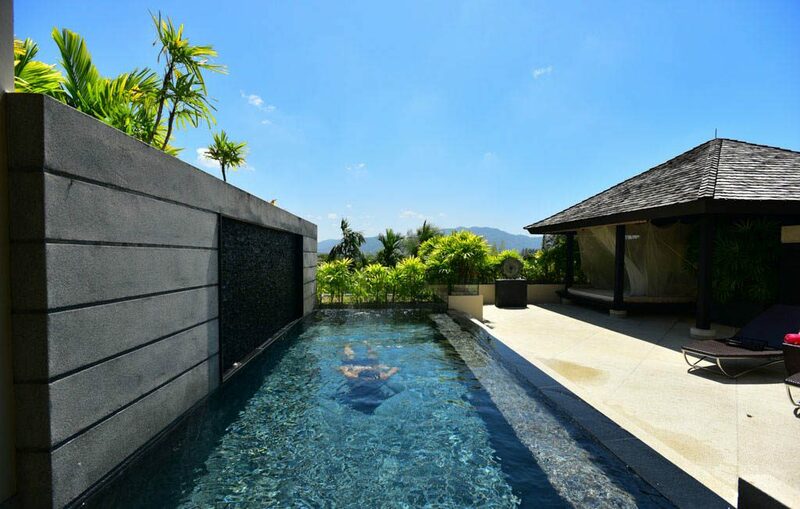 Relax at your own private villa with swimming pool. Call the butler for that one delicious wine. Toast with a cocktail at sunset and dine in the star restaurant or on the beach under the stars. Aria Hotel in Budapest should have a well-deserved spot in any best hotels lists and especially when it comes to super romantic hotels. Aria Hotel Budapest offers the perfect luxury experience for couples from its excellent facilities such as the spa and the pool to its amazing music-themed decor. The hotel really stands out with its above and beyond service. In particular, the complimentary wine and cheese which is served every day between 16:00 to 18:00 accompanied by a performance from a pianist in correspondence to the hotel’s music theme. It also doesn’t get more romantic than the hotel’s rooftop lounge: High Note SkyBar. Here you have the best views in town overlooking St. Stephen’s Basilica. Aria Hotel Budapest is indeed the definition of luxury and should be the number one hotel choice for couples. Though I visited Zaya Nurai Island Resort as a solo female traveler, this resort is probably one of the most romantic in the world. 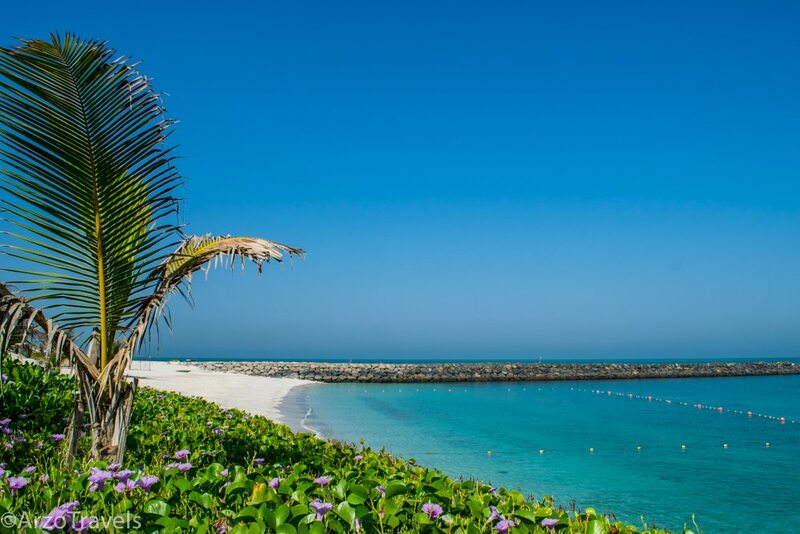 Located on Zaya Nurai Island, a private island close to Abu Dhabi mainland accessible via a 12-minute boat ride, the island is a quiet place where all guests have their own private beach section and their own private pool. This alone makes this place perfect for love birds: walking on the white sandy beach with hardly anyone around is surely pure romance. The most romantic moment will probably be when spending the evening at the Mexican Dusk restaurant. While enjoying some margaritas and Mexican food it is definitely the perfect spot to crop off the evening with amazing views and it can’t get more romantic than watching the sunset from there. 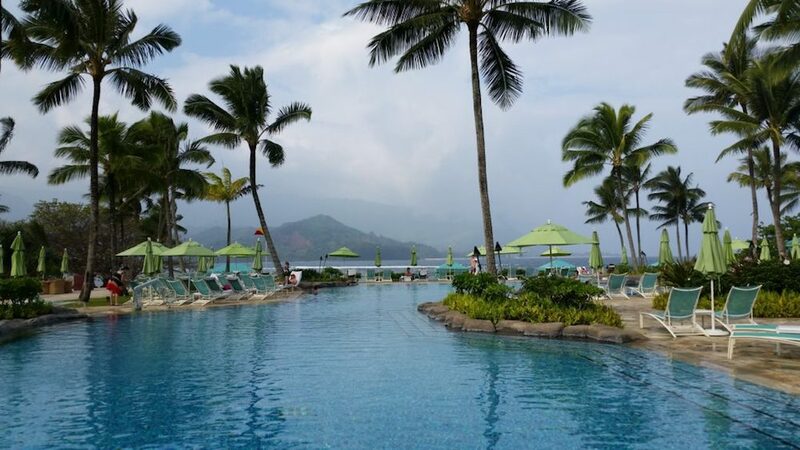 The St. Regis Princeville Resort in Kauai is one of the most romantic hotels I have stayed at. This luxurious oceanfront hotel is located on Kauai’s north shore overlooking Hanalei Bay. It’s definitely the most beautiful part of the island, famous for beautiful lush scenery, views and sunsets. The St. Regis Princeville Resort offers stunning mountain and ocean views from the large infinity pool, terrace and most of its rooms. The outdoor terrace is also one of the best spots in Kauai to catch a gorgeous Hawaiian sunset while sipping champagne. The resort is a popular spot for destination weddings and honeymoons and offers romantic touches such as butler service and couple spa treatments. For couples willing to splurge, they can even arrange a romantic but pricey dinner for two in a private outdoor setting surrounded by candlelight and Hawaiian torches. Adaaran Prestige Vadoo in the Maldives definitely qualifies as one of the most romantic hotels in the world. All rooms are over the water villas, built to provide guests maximum privacy. Rooms are large, comfortable and at the same time incredibly cozy. The water villas are positioned in a way that they all have either sunset or sunrise views. The plunge pool is the perfect place to sip a glass of champagne while admiring the sun going down over the horizon. The hotel has two great restaurants with a great selection of international dishes and drinks. There’s a spa, which is the perfect place to relax and get pampered and a dive center that organizes all sorts of water sports. The staff is incredibly friendly and goes above and beyond to make guests feel welcome. 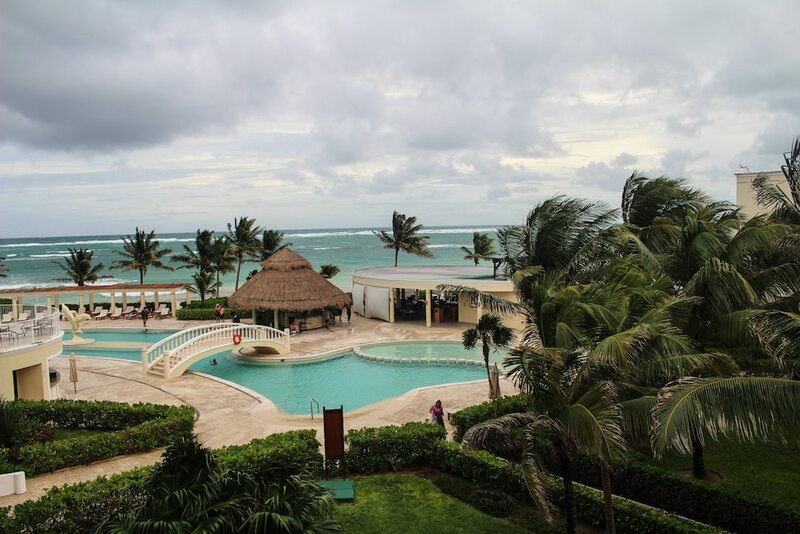 If you’re looking for a romantic getaway in the Mayan Riviera then the Dreams Tulum Resort is where you’re going to want to visit. Immediately after walking through the grand front doors of the main building you’re presented with a glass of champagne or sparkling wine along with a cool towel. This is where the luxury begins and for the entirety of your stay you’re completely pampered with every need of yours taken care of. The pools are large and spread apart so you can relax in peace. While you’re lounging by the pool the staff will stop by now and then to see if there’s anything you would like to eat or drink. The restaurants at the property are exquisite and all of them boast a very quiet and romantic atmosphere. At the beach you can choose to lay on the sand or relax in one of the many private cabanas. If you’re interested in participating in any activities there’s always something going on during the day or you could just choose to visit the spa for a peaceful treatment to further take advantage of your romantic getaway. Lovers of beautiful old cities will be obsessed with Utrecht. This Dutch city in the heart of the Netherlands has two story canals, the tallest church tower in the Netherlands, and a hotel directly underneath the Dom in the heart of the historic city. We stayed at Hotel Dom, a small boutique hotel with eleven suites and a stunning view of the Dom. Any couple looking to explore Utrecht by day and by night will love the thoughtful details, chic design, and a private rooftop terrace (if you pay extra). 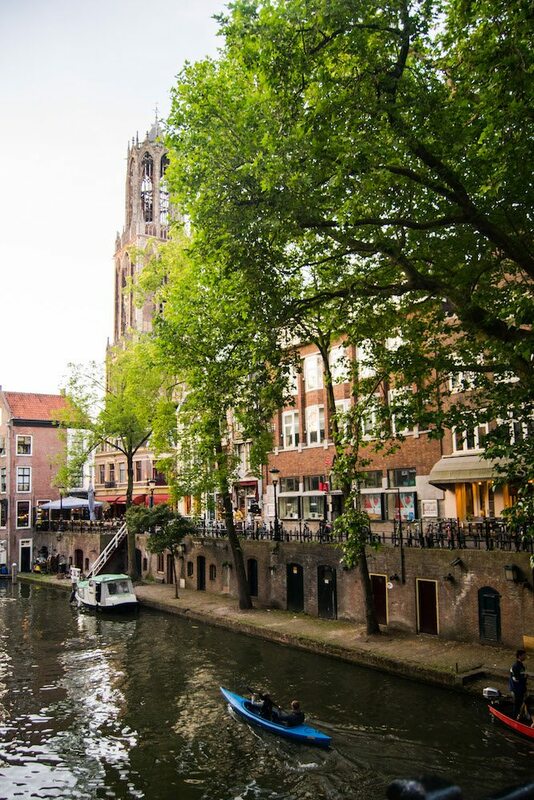 There’s nothing like strolling around the gorgeous canals of Utrecht around sunset, getting a drink in one of the cellars, and then waking up to the bells of the Dom and a stunning view of the historical city landscape with your loved one. For a romantic experience we would definitely recommend Paramount Inle Resort. The whole property is built on stilts, including the cute cabins that overlook the beautiful Inle Lake. Really a unique experience during your stay in Myanmar. We especially loved watching the sunset on our little porch area, just being in the moment and not worrying about anything. The breakfast they provide is also excellent. The only downside was that boats that are crossing the lake in front of you can be a bit noisy, but luckily earplugs are provided! Tanzania is one of the most beautiful places to go on safari. The possibilities to see the big five are endless, whether you visit the Ngorongoro Crater or the Serengeti. However, a safari isn’t complete if you don’t stay at an awesome camp in the middle of the wild. 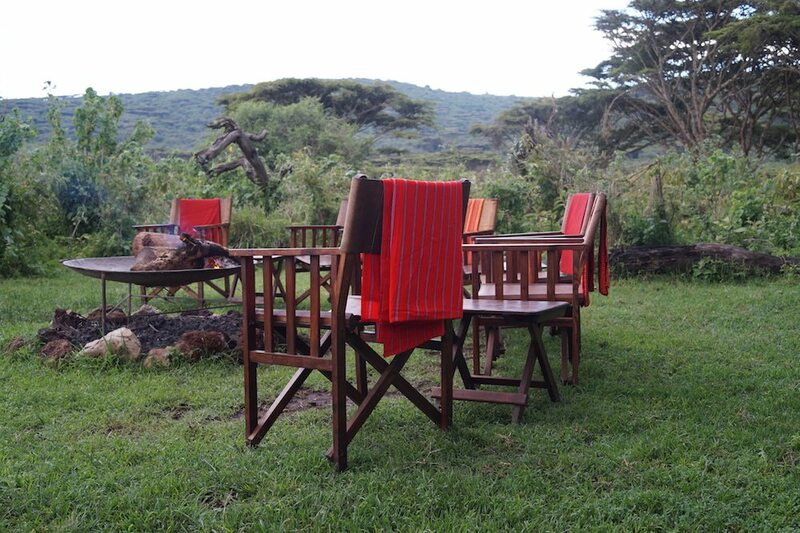 The Lemala Camp Ngorongoro is one of those places. Imagine yourself arriving here after an exhausting day on bumpy roads, on which you were looking out for animals under the hot African sun. When entering the camp, a Massai or a warrior, is awaiting you with a cup of hot chocolate. The bonfire, which they call Bush TV, is on and flickering. You sit down, get comfy in a blanket and enjoy the atmosphere while the sun sets. The camp is organised in separate, luxurious huts. The bed is one of the most comfortable bed I have ever slept in and the bathroom is amazing. Nights at the Ngorongoro Crater can get cold, but don’t worry you have your own “butler”, who already put a hottie under your blanket. Nothing will disturb you when falling asleep, while listening to the sound of the wild. One of the world’s most romantic hotels has to be the Fairmont Le Chateau Frontenac. 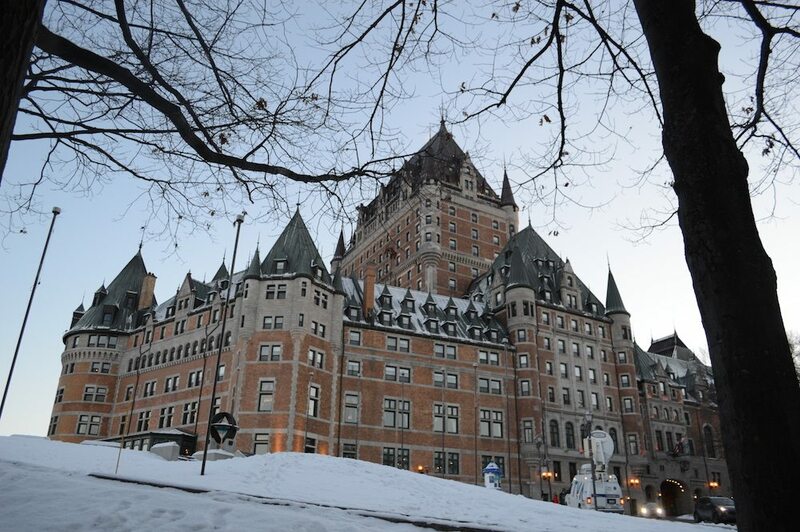 Located in Quebec City, this hotel is an icon of Quebec, towering high above like an enchanting castle. The opulent architecture and luxurious interior make this 611-room hotel a stunning place for a honeymoon, wedding, or even just a romantic escape. Choose from a range of suites and guestrooms, many with decorative fireplaces, spectacular views, and of course, huge comfortable beds for cuddling your darling. With a number of beautiful restaurants inside plus a first class spa, you can be wined, dined, and pampered in this lovely hotel: a place that’s utterly romantique. 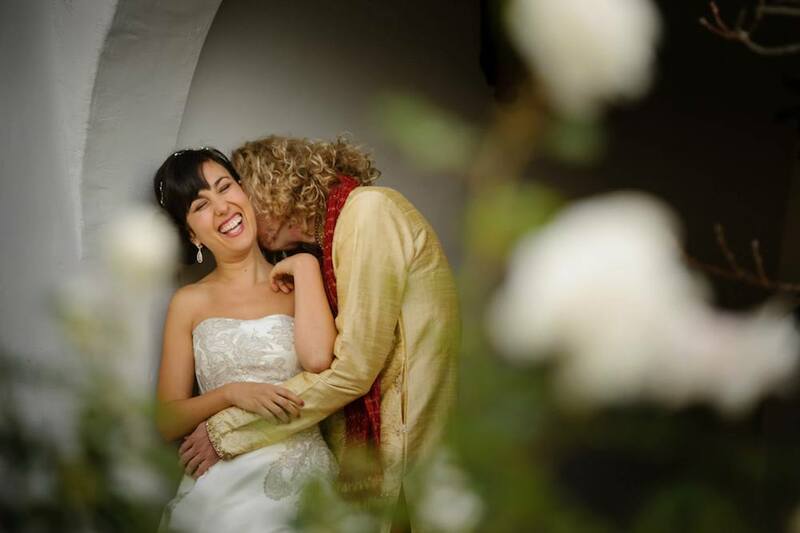 My husband and I spent four incredible honeymoon days at the Ojai Valley Inn and Spa right after our wedding day. This beautiful resort is set in the majestic Ojai Valley and sprawls over 220 acres. This allows for the hotel to offer a casita-type experience. Our room felt like it was in its own world. The bathroom was extremely luxurious with a large soaking tub, and we had a beautiful balcony and killer views of the pink Ojai mountains at sunset. My husband and I loved it because it felt extremely private and intimate, yet the staff was so eager to take care of whatever we needed. The Spa portion of the hotel also offers steam rooms, pools, countless massages, facials and much more. It isn’t good for a budget getaway, but this is our go-to for a one-on-one luxury, romantic vacation. The most romantic hotel I’ve stayed at so far while traveling full-time with my boyfriend over the last 6 months was the Village Katong Hotel in Singapore. We stayed in the luxurious Peranakan Club Room that had a divine soaking tub right in our suite! Between the ultra soft bed, cozy sitting area, sunny balcony, and the amazing bath tub it was hard to pull ourselves out of the room and out into the city. But that is the goal of a romantic hotel stay after all, isn’t it? We had access to the Peranakan Lounge which is exclusively available to suite guests. In the club room there is a private light breakfast in the morning and in the evenings a cocktail hour with canopies. Between the two we managed to squeeze a few hours at the sunny circular pool! The Sea Wind Resort Boracay is one of the most romantic hotels we stayed in, we even decided to get married here! The resort boasts one of the most incredible sunset views of the island on the famous White Beach. It’s located in station 1 on White Beach, which offers a lot of privacy. The hotel has a traditional Filipino feel with palapas and palm trees everywhere. The honeymoon suite is romantic with a great ocean view from the balcony. We loved the food, service and the beach front bar. Swimming in the pool overlooking the beach is simply amazing, but by far the most romantic thing about Boracay’s Sea Wind Resort is the breathtaking sunset! If we needed to pick the most romantic hotel we ever stayed in, this has to be The Pavilions Phuket. This hotel is an adults-only property, with all the intimacy you could expect and made just for your relaxation and wellness. A paradise within a paradise. The warm customer service exceeded all our expectations during our stay. We spent hours and hours playing around its backyard and we had such a luxurious private villa with our very own infinity pool and spa area. If you’re looking for a romantic getaway, this hotel is the perfect choice for you! We hope that you found inspiration for your next romantic getaway with this list of super romantic hotels around world! 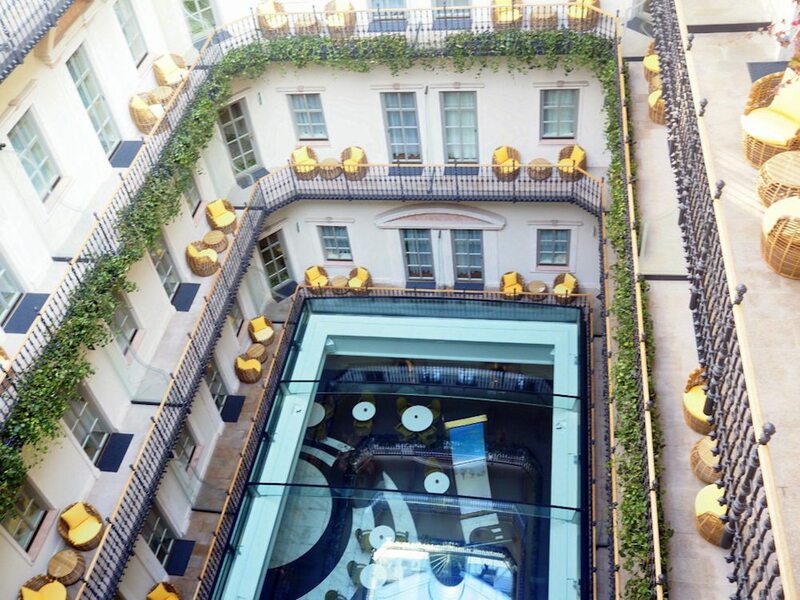 Have you ever stayed in a super romantic hotel that you just can’t forget? Let us know in the comments! Wow! I cannot wait to book a trip to…ALL OF THESE! What incredible places. Thank you so much for putting this post together! Would love to stay at any of these properties! They all look beautiful! Wow! What an amazing list of accommodation options… Specially the ones in Sevilla and in Quebec look so unique and different from what we’re mostly used to find as hotel options. Stunning. I would love to visit each and every one! Hell all I need know is a romantic husband…lol….what a brilliant beautiful list I would stay here and have a romantic holiday with myself. Oh wow! I really enjoyed this post and have pinned it for future reference. 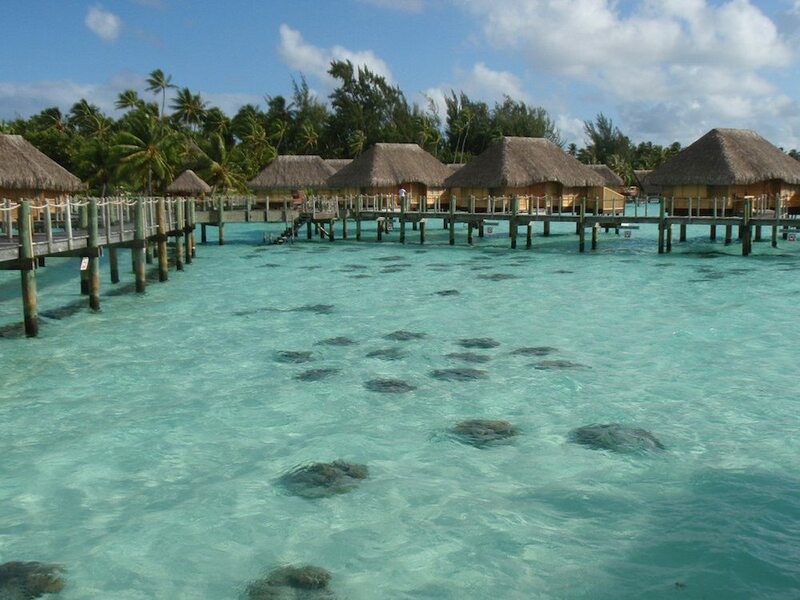 I’ve stayed at the Bora Bora hotel and now am going to have to choose destinations based in your recommendations! Thanks for sharing!